The likely first stop on your trip to Northern Thailand will be the capital city of Bangkok. For the second year in a row, this massive maze of skyscrapers was named the world’s top tourism destination in 2017 with more than 20 million international visitors! It can be VERY overwhelming for any traveller, even if you’ve visited other cosmopolitans across Asia like Saigon, Hanoi and Phnom Penh. The thick smog and heavy traffic can leave a sour taste and for a first-timer to Asia it’s hard to get a real sense of the place so most people like to get in and out. When you arrive book an Uber or Grab to get to your accommodation, or email them in advance to arrange a free pick-up (most places do). You could get the public bus, but they’re very basic and busy so I wouldn’t suggest this mode of transport for your first ride in the city. For your first morning, tick off some of the bigger tourist hot spots before the crowds descend. This includes the Royal Palace (500 baht entry), which is a very opulent and breathtaking building built at the end of the 18th century by King Rama and the official resident of the Monarch. Funnily enough, the current ruler actually resides in Germany and it’s only used for official ceremonies. Then you can do some temple hopping, but remember Chiang Mai is famous for these so you don’t have to if you fancy wandering around instead. I’d recommend Wat Arun, situated on the edge of the Chao Phraya River and near the Palace (50 baht entry), which has beautiful sweeping views of the city. Then there’s Wat Phra Kaew, a sacred shrine with a reclining Budda. In the afternoon/evening, it’s time to brave Khao San Road and the surrounding area. 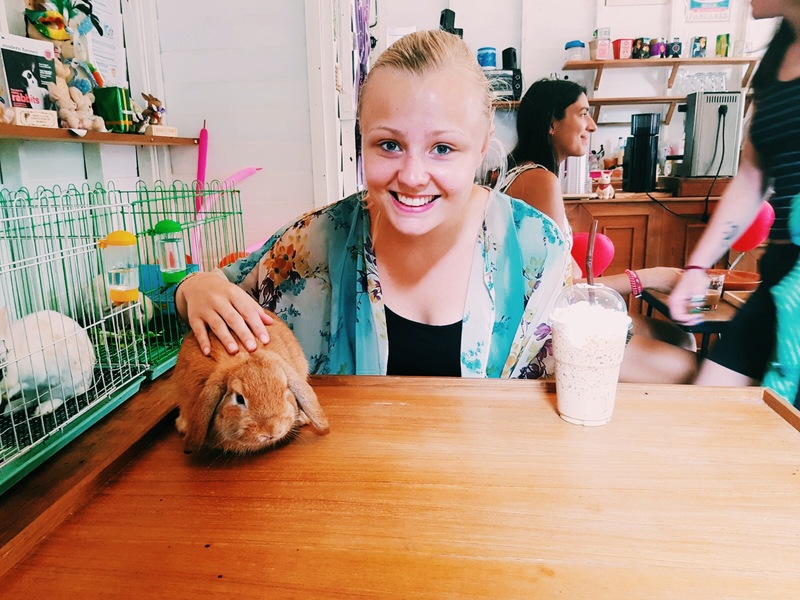 It’s a homing beacon for tourists and you’ll find endless shops, stalls, street food (although I wouldn’t eat there because it’s pricey and not as tasty), international vendors and endless nightlife. About a 10/15 minute walk from Khao San is a great authentic Thai restaurant called Cozy House. We ate there three times as the Pad Thai was delicious and very well priced, plus they have a great selection of Belgium Beers. On your second day book on for Damnoen Saduak floating market tour or hire a private taxi to get there, as it’s a little over an hour out of the centre. We were told by a local taxi driver to try this one, because it’s less touristy and more authentic  In the evening, take a food tour to experience real Thai Cuisine, stopping off at all the best well-known and hidden street food stalls in the Capital. A good company is Expique, but there are cheaper alternatives. The tour visits the Flower Market, Chinatown and the Muslim Market. 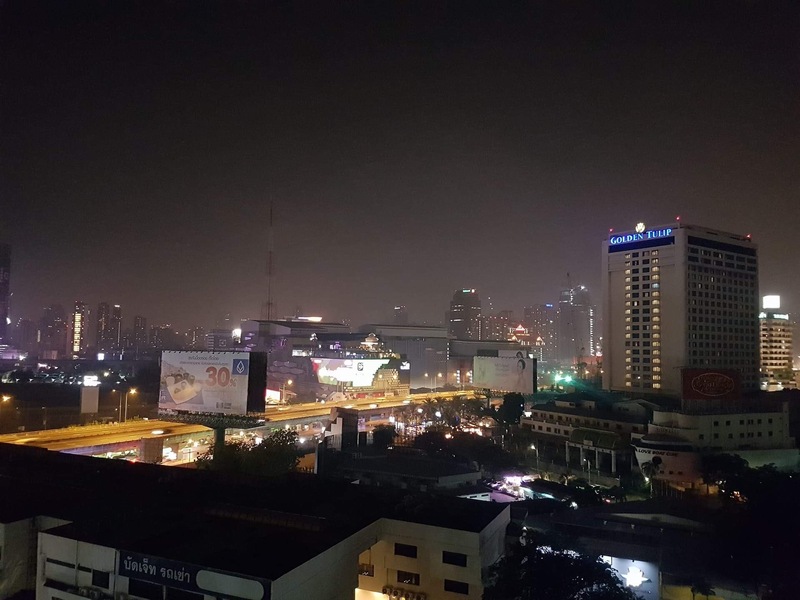 If you have time try finding a good rooftop bar to see the Bangkok skyline in all its glory. Sky Bar may not be the nicest but it’s more affordable and the views are just as good! ‘The Rose of the North’ is worlds away from the hectic capital and one of my favourite places in all of Asia. You can take the overnight train second class for $33pp. 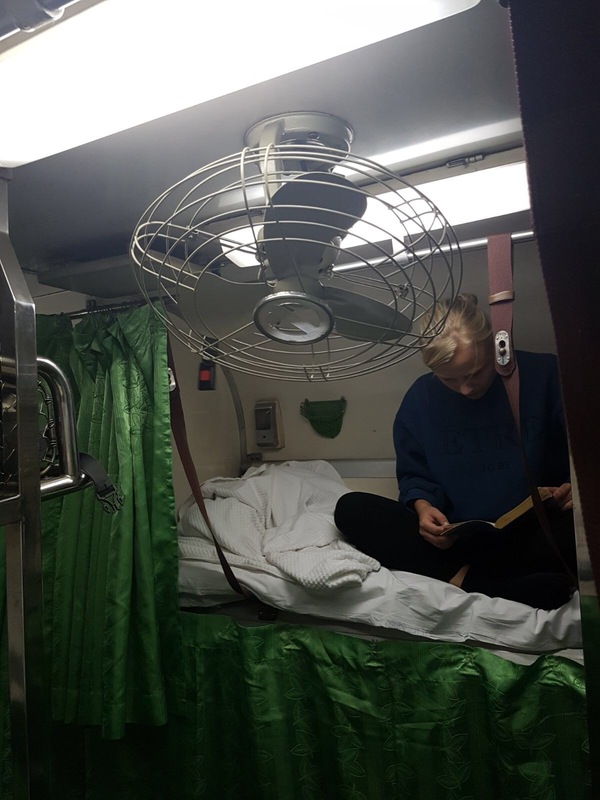 It’s more expensive that the sleeper bus, but far more comfy (opt for the lower bunk as it’s darker). We did both just to see what they were like, and the coach was uncomfortable but around $20pp. Take an eye mask and ear plugs for both! You’ll not have venture too far out to find winding rivers, lush forests, and breathtaking waterfalls in the mountains. 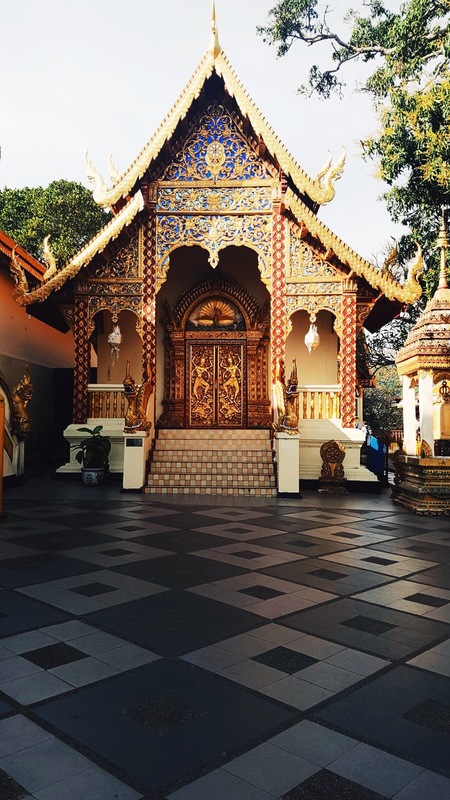 Founded over seven centuries ago, Chiang Mai is home to more than 300 temples, with the most popular in the Old City (30 in total), so I would highly recommend staying there. 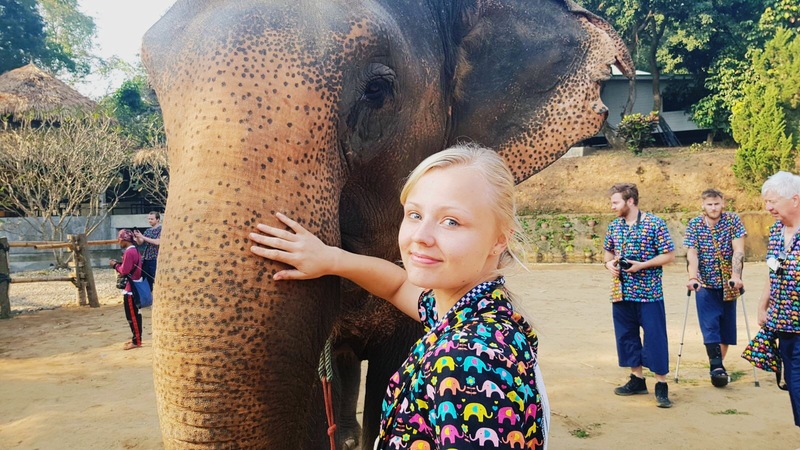 Then there’s the elephant in the room…oh yes you have to visit one of sanctuaries! There is SO much to do here that I can’t fit it all on this post, so click this link to read our detailed itinerary. 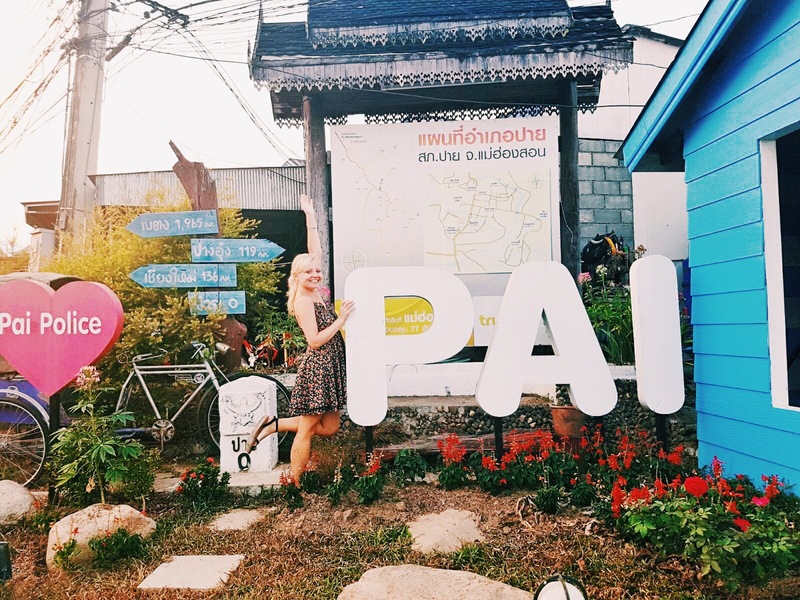 Pai is a town in the grandiose mountains of Northern Thailand, about a 3 hour 150 baht bus ride from Chiang Mai. Nestled in a picturesque valley on the banks of a river, it has become a bustling backpackers base. 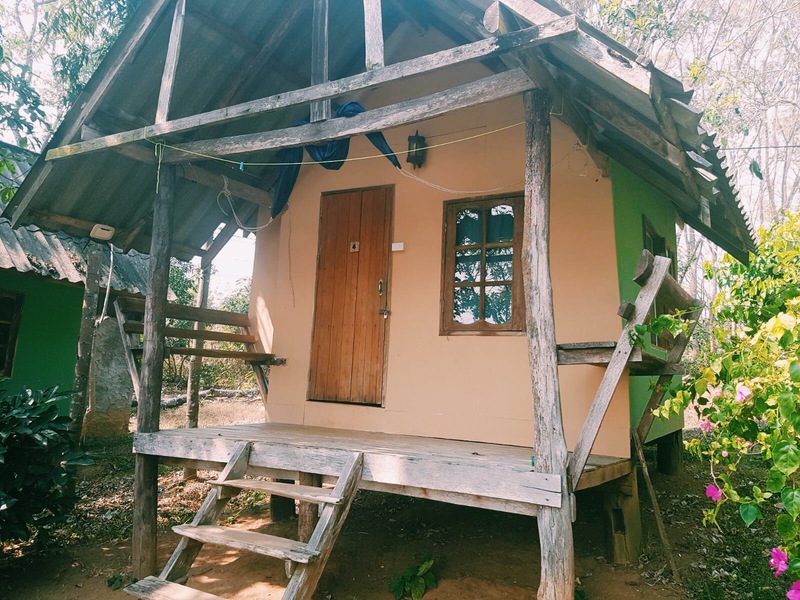 The locals have become very good at accommodating tourists from all over the world, so what the area lacks in Asian authenticity, it makes up for in home comforts. Tip: The bus ride to Pai is no easy feat through the mountains, so make sure you stock up on travel sickness tablets. On your first afternoon/evening, familiarise yourself with the vibrant town centre. Most travellers I spoke to about Pai called it a foodie’s paradise and they were right! 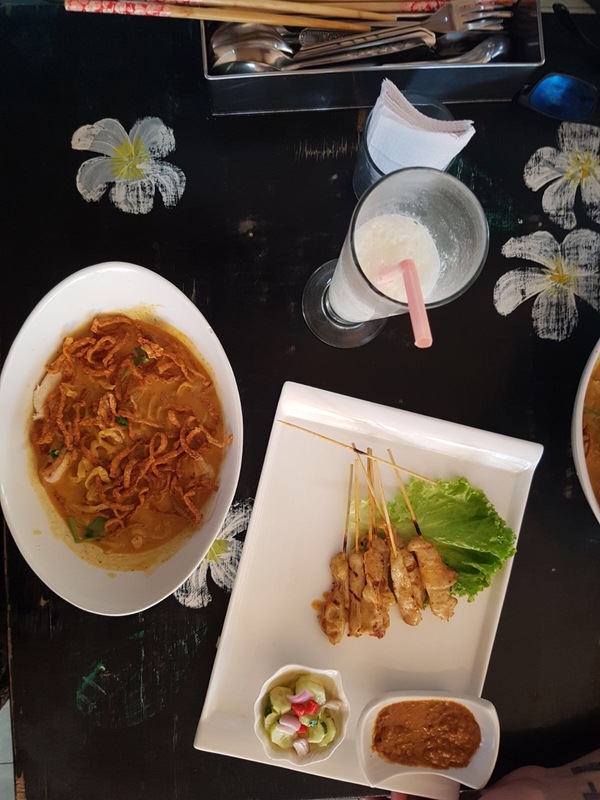 Everyday we ate incredible Thai food at a number of locally-run restaurants, including Na’s Kitchen, Charlie and Lek’s and Pen’s Kitchen where prices for a main meal ranged from as cheap as 35 baht to 100 baht. One three course meal with two drinks cost us $5  (Air Restaurant). If you fancy something Western, try Maya Burger Queen or Big’s Little Cafe. Better yet, at 6pm every night two roads downtown are closed to traffic and turned into the infamous Walking Street. There are dozens of food stalls that’ll satisfy any culinary itch, including Indian, Thai, Japanese, Italian and French. Only Thai people can have a stall on the street, so its interesting to see their take on other cuisines. You can also enjoy some much-needed retail therapy at the many handicraft shops. 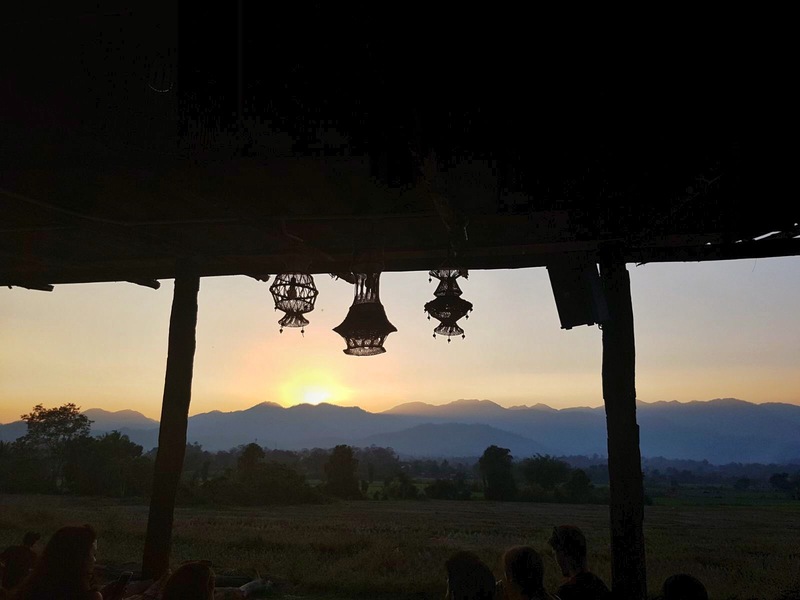 Your first full day in Pai is for exploring the nearby gorges, hot springs and waterfalls. 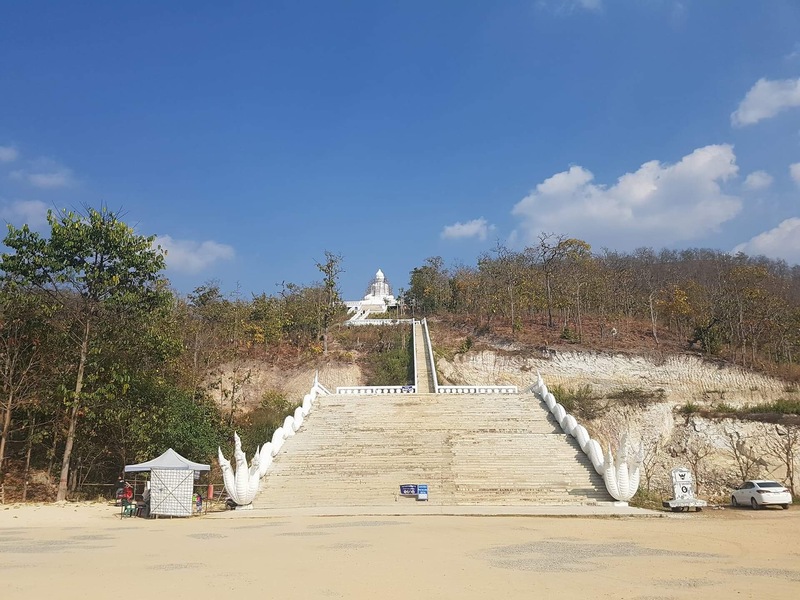 There’s a route East of the town that’ll take you past the Mae Yen waterfall (one of the prettier ones, but a bit of a hike), the massive White Buddha which you can’t miss on the mountain side, and the Pai Hot Springs. The first two stops are free to admire, but the natural spring has a 300 baht entry fee. 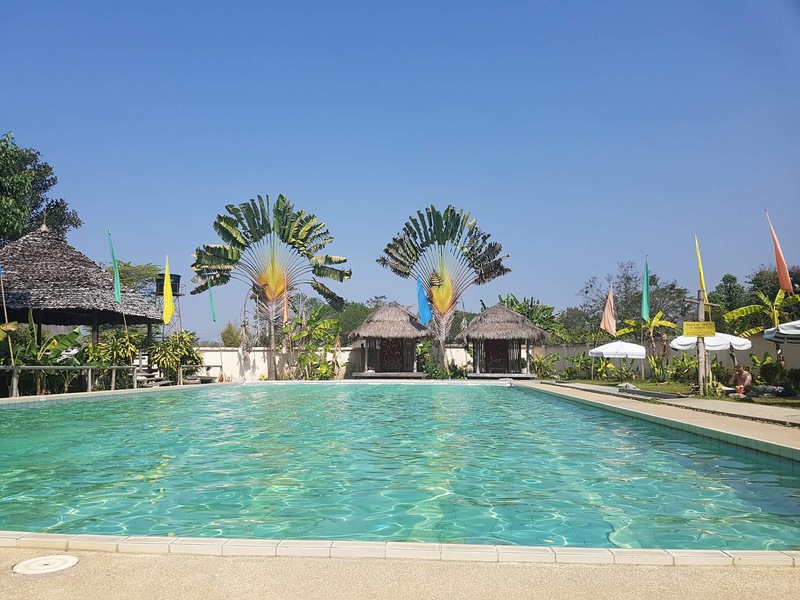 There is a manmade pool nearby too, that’s less picturesque but only 100 baht. On your second day, jump back on your bike early and head south to Pai Canyon. It gets very busy during the day so try and miss the crowds. On your way have a quick look at the WW2 Japanese Bridge but don’t get too excited as it wasn’t much to look at. The Canyon is a further five minutes down the road. It’s a popular spot to watch the sunset but becomes extremely crowded in high season. I’d recommend going early and later on checking out a place called Sundown Playground. It’s a bar with a breathtaking view of the mountains, which you can enjoy sipping a tasty mojito. Food is overpriced and limited to snacks and desserts, so eat somewhere else afterwards. 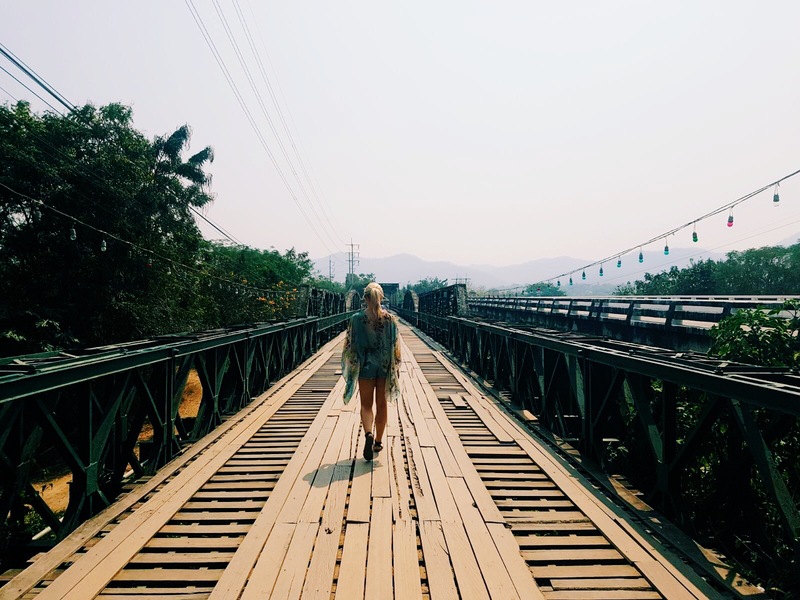 Other popular things to check out during your stay in Pai is the Bamboo Bridge, which was built in 2016 to help monks cross farming fields from their monastry. Pam Bok Waterfall (not that impressive), the Santicon Chinese Village, Tham Lod Cave, and the Land Split. This was a favourite spot of mine as the owner of the farm where the natural phenomenon occurred is extremely friendly and welcoming. On arrival you’re given a selection of fruit and veg and a delicious rice wine and juice for free. All he asks is that if you like what he produces, you donate whatever sum of money to keep his pesticide-free farm running. On your last few days just relax and enjoy a little TLC. We spent two afternoons at Fluid Swimming Pool as it was free entry because of where we were staying. There’s a nice selection of food, great atmosphere and tasty drinks If you have to pay it’s 80 baht pp ($2.50). 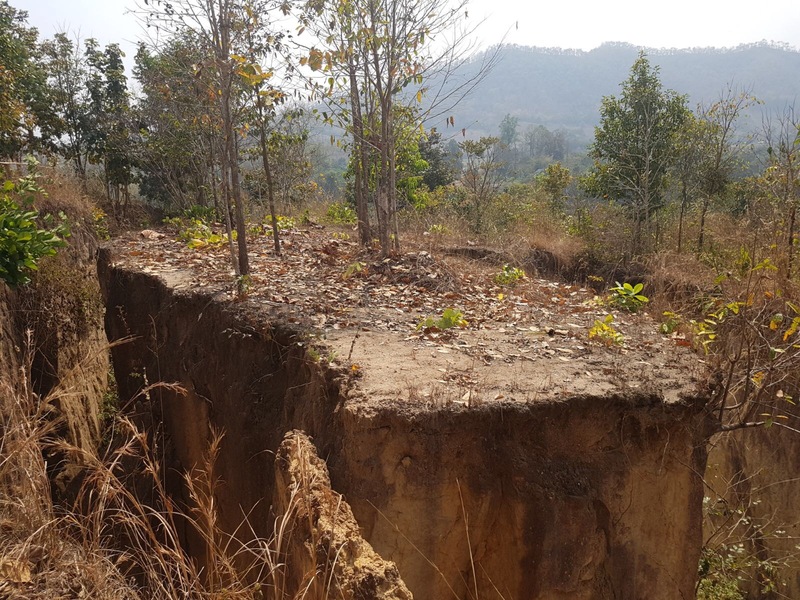 If you have more time, or didn’t spend long at these locations, try the Mae Hong Son Loop by bike. It’s a route that should take up to four days and it’s perfect for any motorbike lover! You could also head to Chiang Rai to see the beautiful Blue and White temples.